Let our glistening building entice you down Hirafu-zaka slope into our local izakaya with its homely and warm atmosphere. Mouth-watering, traditional bincho charcoal grills using delicious local Niseko produce for a great taste of Japan! Delicious Japanese pork and chicken yakitori at reasonable prices! A wide choice of Hokkaido sake. (Please note, service in Japanese only). Excellent place for yakitori and nabe (hotpot) in winter. Large portions and popular with the locals. (Please note, service in Japanese only). 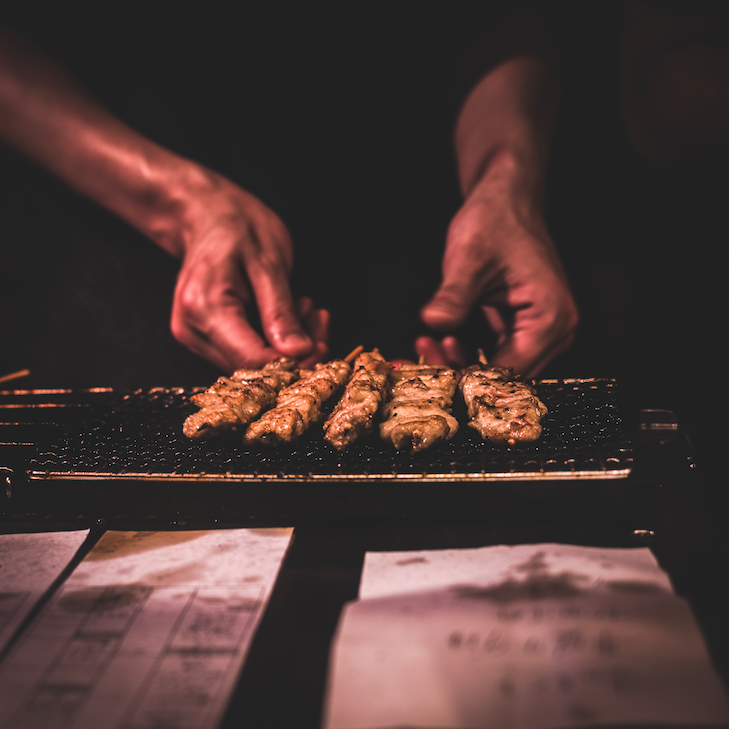 Local's favourite, Saika, offers a great selection of yakitori; chicken, beef, pork, innards, as well as a range of izakaya style menu, with vegan and vegetarian options. Saika first started in Hirafu, but they now run their super popular restaurant in Kutchan. (Please note, service in Japanese only). Endorsed by Anthony Bourdain, Torimatsu is a cozy family owned grilled chicken skewer restaurant. There are options to sit on the tatami floor, or in front of the grill! Great tasting food comes from quality ingredients, skill and a wealth of 15 years of experience! Frozen beer and locally brewed drinks available. (Please note, service in Japanese only).